Leaks coming out of the Obama administration suggest that the President is preparing mostly cosmetic changes to the intelligence community, following the recommendations from the intelligence task force — which were much stronger than many expected. The reports suggest things like putting a public advocate to represent the public’s views in certain cases before the FISC. This has been talked about for a while, and was the main concession plenty of people had been expecting anyway. That’s hardly anything big. The article talks about two other potential reforms. The first is shifting the holding of phone call metadata from the NSA to the phone companies, allowing the NSA to still search through it after getting a court order. While this may be a marginal improvement, it still has tremendous problems. It will almost certainly come with some sort of data retention law — something that the feds have wanted for ages, and which civil liberties activists have been fighting against for years. Companies shouldn’t be required to hang on to data they don’t need, especially if getting rid of it can better protect their users’ privacy. Furthermore, while not letting the NSA hang onto the data is a good thing, there is a reasonable concern that if the telcos are hanging onto the data themselves, that they, too, might do bad things with it, with little to no oversight. However, most of the article from the LA Times focuses on National Security Letter (NSL) reform. We’ve written about those for years. NSLs are the way that the FBI can demand information from companies without any judicial review at all and, even more insane, with a complete gag order that prevents the recipient from telling anyone (including, at times, your lawyer). The FBI has an incredibly long history of “serious misuse” of NSLs, and has shown little to no interest in fixing the process. Nearly a year ago, a court actually ruled them unconstitutional, but there’s an ongoing appeals process that will take quite a bit of time. However, as the article notes, the DOJ/FBI and other surveillance maximalists are all horrified by the idea that Obama might actually require judicial approval of NSLs, for all but “emergency” situations. What this sounds like is that the President may suggest something along those lines, there will be a well coordinated press attack from surveillance hawks freaking out about the danger this puts us all in… and then he’ll back down on that one point. And we’ll be left with… basically nothing, but the President will go around insisting that he reformed the intelligence community, while everything more or less stays the same. Of course, I thought we already had a “national security” agency — known as the “National Security Agency.” Of course, while this may seem like a minor change, as the article notes, it is the reality behind the scenes. The FBI massively beefed up resources focused on “counterterrorism” and… then let all sorts of other crimes slide. Including crimes much more likely to impact Americans, like financial/white collar fraud. Between 2001 and 2009, the FBI doubled the amount of agents dedicated to counterterrorism, according to a 2010 Inspector’s General report. That period coincided with a steady decline in the overall number of criminal cases investigated nationally and a steep decline in the number of white-collar crime investigations. The reductions in white-collar crime investigations became obvious. Back in 2000, the FBI sent prosecutors 10,000 cases. That fell to a paltry 3,500 cases by 2005. “Had the FBI continued investigating financial crimes at the same rate as it had before the terror attacks, about 2,000 more white-collar criminals would be behind bars,” the report concluded. As a result, the agency fielded criticism for failing to crack down on financial crimes ahead of the Great Recession and losing sight of real-estate fraud ahead of the 2008 subprime mortgage crisis. … So… what has the FBI been doing? Well, every time we hear anything about the FBI and counterterrorism, it seems to be a case where the FBI has been spending a ton of resources to concoct completely made up terrorism plots, duping some hapless, totally unconnected person into taking part in this “plot” then arresting him with big bogus headlines about how they “stopped” a terrorist plot that wouldn’t have even existed if the FBI hadn’t set it up in the first place. And this is not something that the FBI has just done a couple times. It’s happened over and over and over and over and over and over and over and over and over and over and over and over again. And those are just the stories that we wrote about that I can find in a quick search. I’m pretty sure there are a bunch more stories that we wrote about, let alone that have happened. All of these efforts to stop their own damn “plots” screams of an agency that feels it needs to “do something” when there’s really nothing to be done. Thousands of agents were reassigned from stopping real criminals to “counterterrorism” and when they found there were basically no terrorists around, they just started making their own in order to feel like they were doing something… and to have headlines to appease people upstairs. The government seems to have gone collectively insane when it comes to anything related to “terrorism. 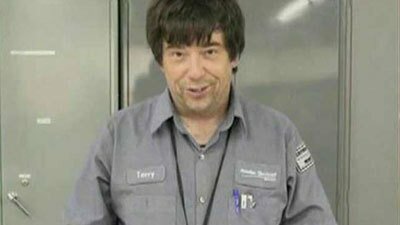 Nonetheless, according to his ex-wife of 10-years, Loewen/Lane was “peaceful, easy-going, quiet man” who “didn’t like confrontation; he was never one to start a fight.” She said he had left his job at Hawker Beechcraft Air Services for a time, to work at Learjet across town. She didn’t know when he returned to Beechcraft. “He was happy. He was a normal human being,” she said. And although The Journal reported that the son had no idea about Loewen’s conversion to Islam, The Wichita Eagle reported that the son told his mother that Loewen had recently become a Muslim. Therefore the news about Loewen/Lane and this alleged new terrorist plot includes many confusing reports and makes little or no sense. A 58-year old man with no connection to any Muslim organization just decided on his own to give up his entire life to become a jihadist. He forsook all other commitments to make a martyr of himself for the benefit of “brothers and sisters” who he had never met. His family and neighbors apparently knew nothing about it. If we can learn anything from the incident it is that the next terrorist could be anybody—you, your father, your neighbor—anyone at all. And there won’t necessarily be any signs at all other than what the FBI provides about internet activity. This brings us to the big expose that The Journal published on the Boston bombers. Readers might wonder about the coincidence of the reporter from The Journal just happening to be a relatively close friend of the Tsarnaev family, whose two sons were accused of the marathon attack. Ostensibly, that relationship was initiated because both the reporter and the family spoke Russian and the reporter was doing research on Chechens and “Russia’s Islamist insurgency.” But the friendship was clearly much more than that. Who could have predicted that chance relationship would come in so handy for a terrorism reporter from a major U.S. news source? We have seen this tactic before with other terrorism stories but never this blatantly. We are being told that not only can anyone be a terrorist, but it is more likely that anyone who questions the official accounts of terrorism is more likely to be a terrorist. How convenient for the military-terrorism-industrial complex. If such an approach takes hold in the minds of fearful citizens, there would be no stopping the architects of the War on Terror and no shortage of suspects to keep the whole thing rolling along. On Friday the case against the US government, brought by Rahinah Ibrahim over her being placed on the “no fly list,” officially concluded with closing arguments, but that may have been the least interesting part of everything. Apparently, the day got off to a rocky start, after Ibrahim’s lawyers informed the DOJ that they intended to file bar complaints against some of the DOJ legal team for their actions in court, specifically concerning “misrepresentations” made to the court. It seems clear that this was mainly about the DOJ denying that the US government (mainly DHS) had done anything to prevent Ibrahim’s daughter, Raihan Mustafa Kamal, an American citizen, from coming to the US to be a witness in the trial. As you may recall, on Monday it had come out that she had been denied in her attempt to board her flight in Malaysia, and the DOJ claimed, flat out, that Kamal had merely missed her flight and rebooked on another flight. It appears that none of that was true. While that’s not a full on “denial” it was enough to have the airline deny her passage, and clearly shows that, contrary to the DOJ’s claims, DHS specifically had targeted Kamal and was hinting very strongly to airlines not to let her fly. It seems unlikely that they ever expected that email to get out. Either way, Kamal had spent nearly $2,000 of her own money on the original flight, and noted in her own deposition that she was unable to afford another immediate flight to the US (especially given that it’s holiday travel season). Do you know what happened to Robert Oppenheimer? He was denied his clearance. It was totally unjust. The information was bogus. They suspected him of being a Communist, but that was wrong. It was a low point for America, to do that wrongly to an American hero. You’re not seeing the other side of what can happen. JUDGE ALSUP: We know that there’s going to be mistakes in your system, in any system, and people are going to get hurt. What do we need? Should there be some sort of follow-up FBI interview to find out if there is contrary evidence? DEFENDANTS’ COUNSEL: When a TRIP letter is sent, the recipient is offered the possibility of review by a Court of Appeals. Review by a Court of Appeals would reveal any improper basis for the decision. JUDGE ALSUP: How could the Court of Appeals tell that from the file it is handed up by the agency? Even if it includes the derogatory information, how is the Court of Appeals going to know from looking at the face of the document whether it’s true? Couldn’t there be some process where you tell the person the nature of the allegations (”You contributed money to Al Qaeda”) without revealing the specific sources or methods for the information containing those allegations? DEFENDANTS’ COUNSEL: We can say more in closed session, but we can’t do that. 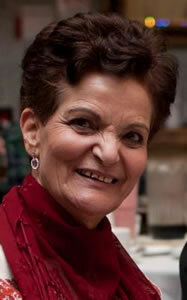 The government also appeared to admit in its closing that the original no fly determination on Dr. Ibrahim was a mistake, but then seems to bend over backwards not to take responsibility for all the additional fallout from that incorrect designation — including the repeated denial of a visa to go back to the US (even for this very trial). As you my have heard, there’s a trial going on here in San Francisco about the legality of the complete lack of any sort of due process concerning the US’s “no fly” list. The NY Times has a good background article on the case, which notes that somewhere around 700,000 people appear to be on the list, where there’s basically no oversight of the list and no recourse if you happen to be placed on the list. This lawsuit, by Rahinah Ibrahim (who had been a Stanford PhD student) is challenging that. In that case, a Stanford University Ph.D. student named Rahinah Ibrahim was prevented from boarding a flight at San Francisco International Airport in 2005, and was handcuffed and detained by the police. Ultimately, she was allowed to fly to Malaysia, her home country, but she has been unable to return to the United States because the State Department revoked her student visa. According to court filings, two agents from the Federal Bureau of Investigation visited Ms. Ibrahim a week before her trip and asked about her religious activities (she is Muslim), her husband and what she might know of a Southeast Asian terrorist organization. A summary of that interview obtained by Ms. Ibrahim’s lawyer includes a code indicating that the visit was related to an international terrorism investigation, but it is not clear what other evidence — like email or phone records — was part of that inquiry. The Identity Project blog is covering the trial, which kicked off earlier this week with a ridiculous situation, highlighted by BoingBoing. Apparently, one of the people set to testify in the case, Ibrahim’s oldest daughter, Raihan Mustafa Kamal (an American citizen, born in the US), was blocked from boarding her flight to the US to appear at the trial, and told that she was on the no fly list as well. Kamal, a lawyer, was an eye witness to her mother being blocked from boarding her flight. The US knew that Kamal was set to testify and from all indications, in a move that appears extremely petty, appears to have purposely blocked her from flying to the US. Kamal was directly told by the airline that DHS had ordered them not to let Kamal to board. The airline even gave her a phone number for a Customs and Border Patrol office in Miami, telling her to call that concerning her not being able to board. At the end of the first day’s session of the trial (more on that below), the governments’ lawyers told Judge Alsup that they had made inquiries and had been told that “the plaintiff’s daughter just missed her flight” and was rebooked on a flight tomorrow (Tuesday) afternoon. Needless to say, that story strains credulity. 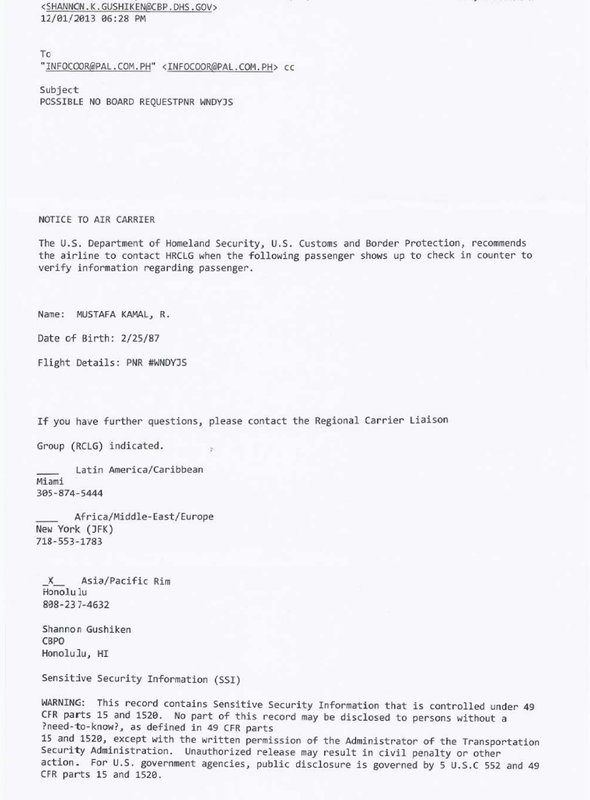 If Ms. Mustafa Kamal had merely missed her flight, why would she have been given a CBP phone number in Miami to call for information about what had happened? The governments’ lawyers insisted that, “That’s what we have been told”, but Judge Alsup wasn’t satisfied. “None of that was true,” Ms. Pipkin told the court this morning. “She didn’t miss the flight. She was there in time to check in. She has not been rebooked on another flight.” And most importantly, it was because of actions by the DHS — one of the defendants in Dr. Ibrahim’s lawsuit — that Ms. Mustafa Kamal was not allowed to board her flight to SFO to attend and testify at her mother’s trial. Ms. Pipkin said that Ms. Mustafa Kamal had sent her a copy of the “no-board” instructions which the DHS gave to Malaysia Airlines, and which the airline gave to Ms. Mustafa Kamal to explain as much as it knew about why it was not being allowed to transport her. Ms. Pipkin handed Judge William Alsup a copy of the DHS “no-board” instructions to Malaysia Airlines regarding Ms. Mustafa Kamal. “Get her on an airplane and get her here,” Judge Alsup responded. “She’s a U.S. citizen. She doesn’t need a visa. I’m not going to believe that she can’t get on a plane until she tries again. ” And Mr Freeborne, with disingenuous faux-solicitude, claimed that the government is “willing to do whatever we can to facilitate” Ms. Mustafa Kamal’s ability to board a flight to the U.S.
Here’s my ruling: If it’s in a document that’s SSI, but it’s also available from some other publicly available source, it’s public information, and cannot be withheld from the public in this courtroom…. The government is taking such an unreasonable position on how to run a trial. If it’s been in the public domain for years, you’re barred from making the argument that the plaintiff’s counsel cannot “disclose” it…. Trials are important. Trials are supposed to be public. I want to categorically reject one thing: If information is publicly available in some other way, the government does not have the right to retroactively clamp it down and remove it from the public record. Even if it could have been protected as SSI within the government, if the plaintiff obtains this information independently, the government can’t clamp that down. The plaintiff has the right to prove her case. If she can prove it through publicly available admissible evidence, she can do so even if that information is also included in internal government documents designated as SSI. That’s the way I feel. That’s the law, that ought to be the law, and that’s the only way to run this country. That’s my ruling, and if the government disagrees, I invite you to take an emergency writ to the Ninth Circuit Court of Appeals. It would be an understatement to suggest that Judge Alsup is not impressed with the US government’s actions so far. The notes from day two in the trial provide a lot more background on what happened. It would appear that the lawyers for Ibrahim are making a (rather compelling, from the evidence) case that bumbling US law enforcement officials confused two very different Malaysian organizations with similar names: Jamaah Islamiyah Malaysia, which is a terrorist organization, and Jamaah Islah Malaysia, “a non-profit professional networking group for Muslims who have returned to Malaysia after post-secondary schooling in the U.S. and Europe.” The two organizations are, as you would imagine, quite different. Ibrahim is involved in the latter, and has no connection to the former, but it sounds like the FBI agents who interviewed her were unaware of the difference. The further details of Ibrahim’s life, her arrest and treatment, all suggest a situation where US law enforcement totally screwed up, and seriously mucked up someone’s life — and now they seem to be doing everything possible to avoid taking responsibility for it. On Friday, we wrote about Jeremy Hammond’s 10-year prison sentence, mentioning that the judge had required part of Hammond’s statement be redacted from any reports as his discussion of the list of targets he was asked to hack by FBI informant Sabu (Hector Xavier Monsegur) was considered classified. Of course, it will come as little surprise that the unredacted/uncensored text of his original statement is alleged to have leaked soon after the sentencing. Someone posted it to Pastebin. While it’s entirely possible that this is fake, there are at least some indications that it’s accurate. Sabu also supplied lists of targets that were vulnerable to “zero day exploits” used to break into systems, including a powerful remote root vulnerability effecting the popular Plesk software. At his request, these websites were broken into, their emails and databases were uploaded to Sabu’s FBI server, and the password information and the location of root backdoors were supplied. These intrusions took place in January/February of 2012 and affected over 2000 domains, including numerous foreign government websites in Brazil, Turkey, Syria, Puerto Rico, Colombia, Nigeria, Iran, Slovenia, Greece, Pakistan, and others. A few of the compromised websites that I recollect include the official website of the Governor of Puerto Rico, the Internal Affairs Division of the Military Police of Brazil, the Official Website of the Crown Prince of Kuwait, the Tax Department of Turkey, the Iranian Academic Center for Education and Cultural Research, the Polish Embassy in the UK, and the Ministry of Electricity of Iraq. All of this happened under the control and supervision of the FBI and can be easily confirmed by chat logs the government provided to us pursuant to the government’s discovery obligations in the case against me. However, the full extent of the FBI’s abuses remains hidden. Because I pled guilty, I do not have access to many documents that might have been provided to me in advance of trial, such as Sabu’s communications with the FBI. In addition, the majority of the documents provided to me are under a “protective order” which insulates this material from public scrutiny. As government transparency is an issue at the heart of my case, I ask that this evidence be made public. I believe the documents will show that the government’s actions go way beyond catching hackers and stopping computer crimes. Again, while Hammond is responsible for actually carrying out the activity of breaking into these sites, it still seems incredibly questionable that the targets may have been suggested by the FBI, which then basically got to take advantage of Hammond’s activities, and then when that wasn’t useful any more, to throw him in jail for a decade. The United States intelligence community’s research arm is set to launch a program that will thoroughly broaden the capabilities of biometric facial recognition software in order to establish an individual’s identity. The Janus program of the Intelligence Advanced Research Projects Agency (IARPA) will begin in April 2014 in an effort to “radically expand the range of conditions under which automated face recognition can establish identity,” according to documents released by the agency over the weekend. In addition, Janus will take into account aging and incomplete or ambiguous data for its recognition assessment goals. IARPA was created in 2006 and is a division of the Office of the Director of National Intelligence. The intelligence agency is modeled after DARPA, the Pentagon’s notorious research arm that fosters technology for future military utilization. In-Q-Tel, a not-for-profit venture capital firm run by the Central Intelligence Agency, invests in companies that develop facial recognition software. In an age of ubiquitous surveillance video amid a severe lag of legal protections for privacy, civil liberties advocates are expressing concern. IARPA’s effort to significantly boost facial recognition capabilities “represents a quantum leap in the amount of surveillance taking place in public places,” said Jay Stanley, a senior policy analyst with the American Civil Liberties Union’s Speech, Privacy and Technology Project, as quoted by USA Today. Stanley noted that law enforcement and the like could easily run random facial recognition programs over surveillance video to assess the identities of crowds in public places without oversight. IARPA gave industry representatives a solicitation briefing on the program in June, according to media reports. Late last month, the Federal Bureau of Investigation published a request for information in developing “a roadmap for the FBI’s future video analytics architecture” as the agency prepares to make its high-tech surveillance abilities all the more powerful. In September, the Department of Homeland Security tested its Biometric Optical Surveillance System (BOSS) at a junior hockey game in Washington state. When it’s fully operational, BOSS could be used to identify a person of interest among a massive crowd in just seconds. Over the summer, the state of Ohio admitted it had access to a facial recognition database that included all state-wide driver’s license photos and mug shots without the public’s knowledge. MANHATTAN – A Muslim man says he has been unable to visit his ailing mother for over two years because he refused to spy for the FBI and is now on the no-fly list. The Queens man says his predicament has left him unable to visit his ailing mother in Pakistan for over two years, and that it has burdened his practice of Islam. Though the no-fly list is supposed to represent a list of suspected terrorists, the American Civil Liberties Union calls it “a draconian tool to coerce Americans into spying on their communities.” In this case, Tanvir is represented by Shayana Kadidal with the Center for Constitutional Rights. After refusing FBI agents’ request that he serve as an informant in his predominantly Muslim community and landing on the no-fly list, Tanvir says he reached out to the FBI to clear things up. Instead of helping, FBI agents offered to take him off the list in exchange for information. Tanvir, who has lived in the United States since 2002, again refused. Named as defendants are FBI Director James Comey; Terrorist Screening Center Director Christopher Piehota; Acting Secretary of Homeland Security Rand Beers; and Transportation Security Administration Administrator John Pistole. The FBI agencies are responsible maintaining the Terrorist Screening Database, which includes the no-fly list. Tanvir wants the court to declare as unconstitutional the FBI’s alleged practice of placing people on the no-fly list for not cooperating, then using an offer to remove them as a bribe for information. He also wants off the list, along with damages. In thousands of words spanning a 60-plus page report titled Unleashed and Unaccountable: The FBI’s Unchecked Abuse of Authority, the ACLU this week condemns the agency, particularly in the years following the September 11, 2001 terrorist attacks. Published on the anniversary of the signing of the US Constitution, the ACLU urges President Barack Obama and his administration “to conduct a comprehensive examination of the FBI’s policies and practices to identify and curtail any activities that are unnecessary, ineffective or misused,” especially before the newly appointed director of the agency, James Comey, can subvert any further the policies enacted by his predecessor, James Mueller, who ran the FBI from before 9/11 up until only this month. Brazil has announced plans to bypass the US-centric internet amid revelations that Washington conducts spy operations on web communications. 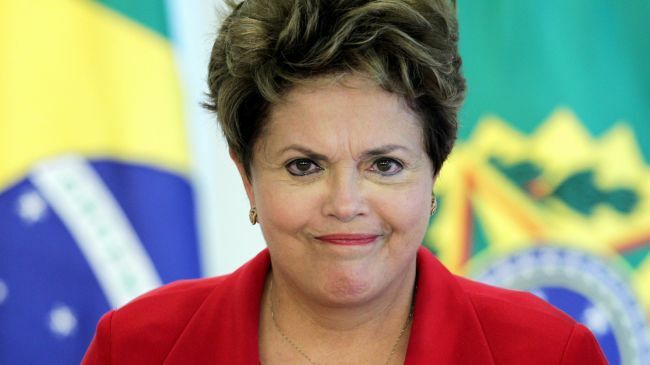 Brazilian President Dilma Rousseff announced the country’s measures to boost the Brazil’s independence and security on the World Wide Web, including storing data locally and bypassing internet traffic that goes through the United States. Rousseff said plans are in the works to lay underwater fiber optic cable directly to Europe and all the South American nations in order to create a network free of US eavesdropping. This is while most of Brazil’s global internet traffic passes through the US. The president also announced that she will push for new international rules of privacy and security in hardware and software during the UN General Assembly meeting later this month. The country’s postal service also plans to create an encrypted e-mail service that would serve as an alternative to Gmail and Yahoo, two companies being monitored by the NSA. Experts said the move may herald the first step toward a global network free from US monopoly and its illegal surveillance of global communications. The development comes following the publication of documents leaked by whistleblower and former NSA contractor Edward Snowden in July, exposing US spying on Brazilian companies and individuals for a decade. Snowden, a former CIA employee, leaked two top secret US government spying programs under which the NSA and the Federal Bureau of Investigation (FBI) are eavesdropping on millions of American and European phone records and the Internet data from major Internet companies such as Face book, Yahoo, Google, Apple, and Microsoft. The NSA scandal took even broader dimensions when Snowden revealed information about its espionage activities targeting friendly countries.